Why the PMP, PMI-ACP or PMI-PBA Certifications help your career? with Exam Prep | PMI-ACP Certification Training | PM Career Paths | Why the PMP®, PMI-ACP® or PMI-PBA® Certifications help your career? 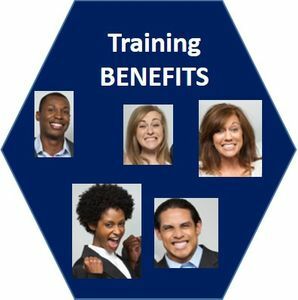 Home | Trainers, Loyalty, Other | PM Career Paths | Why the PMP®, PMI-ACP® or PMI-PBA® Certifications help your career? Home | PMI(R) Certifications | PM Career Paths | Why the PMP®, PMI-ACP® or PMI-PBA® Certifications help your career? picture defining the class, then click on the down arrow for dates | PMP® Certification Exam Visibility Board for the current PMP Exam | Read these PMP® Certification Prep Articles | PMI(R) Certifications | PM Career Paths | Why the PMP®, PMI-ACP® or PMI-PBA® Certifications help your career? Call 360-584-8614 to Pre-Register for Training | PMP® Certification Exam Visibility Board for the current PMP Exam | Read these PMP® Certification Prep Articles | PMI(R) Certifications | PM Career Paths | Why the PMP®, PMI-ACP® or PMI-PBA® Certifications help your career? How can PMP®, PMI-ACP (Agile) or PMI-PBA Certifications help your career? Build Confidence & Increased Responsibility: It is often been said that these certifications can create efficiency and effectiveness as they conform to industry best practices. Many times organizations have more confidence in their employees when these certifications are realized; therefore, the credential holder often finds that they are receiving increased responsibilities, better project opportunities and raises in compensation. Providing Flexibility: These certifications are so related. People managing Agile projects or more traditional projects tell us that the BA, the PM or Agile PM, and the Systems or Enterprise Analyst are onboard "together" throughout every project. SmartPath LLC's Training Provides Tools How do these certifications help you? At SmartPath LLC the workflow tools we give you to learn for the Exam, also become the tools that guide you as you manage Agile, traditional projects or BA projects. Many times the operations manager, the business manager and the PM have to wear one or more hats in smaller organizations. We will prepare you to lead your team, whether a BA or Agile or traditional PM team. To get the certification - purchase the training for the certification you want, follow our recommendations for learning and practice, practice for the exam on your smart phone, netbook or computer if you prefer. If you get sidetracked by life events or projects, don't worry, you have up to 6 months to resit (and there's no restriction on resitting). Fill in your business and project gaps. Become a leader in your field. Get the tools to do it. Join us as no one else will provide you more. See more: PMP, PMI-ACP (Agile) or PMI-PBA Certifications. SmartPath LLC has been a training leader in Washington State for over 8 years and 4 years in the Greater DC metro. Get SmartPath LLC training Live online or onsite in Seattle-Bellevue or Washington DC. Make the Smart Choice and be the best you can possibly be because YOU deserve it. See also - Career Path for Consultants.